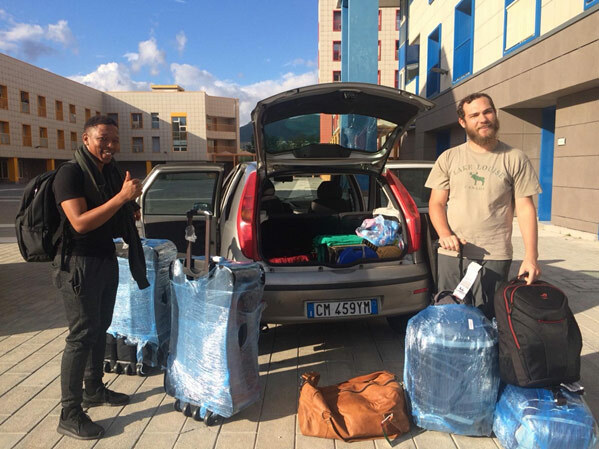 S’tefan van Vuuren and Khusto Chuene have received scholarships to complete a Masters in Environmental Engineering and Territory at the University of Salerno in Italy. S’tefan van Vuuren and Khusto Chuene have received scholarships to complete a Masters in Environmental Engineering and Territory at the University of Salerno in Italy. The scholarship is worth 9 000 Euros and includes residences at the university, food from canteen and all class fees. The degree will be completed after two years and will end in July 2020. The academic year in Europe started on the 1st of October 2018. We wish them well on their adventure!